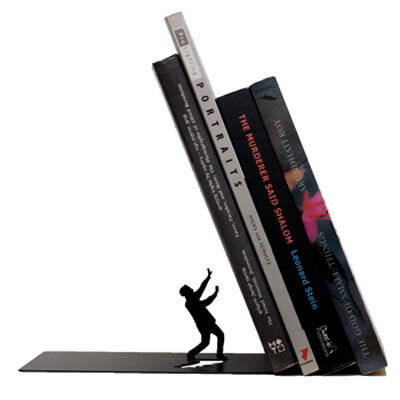 Falling Bookend. Original and decorative bookends, the man who is below does not know that fall is not books, but it's a secret! This book ends with metal supports, leave your books at an angle, causing a dramatic situation on your shelves. Original and decorative bookends gift may bethe only one. Made of metal and available in black.